I was quickly impressed by this ambitious book, which aims to summarise the whole of human history. Within the first dozen or so pages, Harari answers one of his own questions with, ‘Frankly, we don’t know’. He remains refreshingly willing to admit ignorance. Indeed, he frames the modern Scientific Revolution as the ‘Discovery of Ignorance’: the break from self-satisfied tradition to explore the unknown beginning with squarely facing the scope of the unknown. Hot on the heels of this came the first of a handful of genuinely fresh (for me) insights based on what we do know. Looking at the rapid spread of early humans across the world’s various bioregions, and the resulting impact on food chains (especially extinctions of megafauna unprepared for us), he notes that we went unusually quickly from the middle to the top of the food chain. Most apex predators got there gradually, in a slow evolutionary dance with the ecosystem. Each aspect of the system adapted — including the predator, which was imbued over the course of millions of years with self-confidence. The rapid rise of humanity has left us still filled with underdog insecurity, but wielding unprecedented power — a sure recipe for cruelty and instability. It is very clear to me that I personally do not fit the ideal evolutionary model. So it is much easier for me to be an external observer of that evolution and not accept it as self-evident. It gives you a critical space. After learning that Harari is vegan, I was going to say something about this being another aspect of his partiality which, paradoxically, gives him a less partial overall perspective. Even though Sapiens is by definition pretty anthropocentric, the global scale of this history — not to mention the transhuman intimations of its concluding passages — encourages a vision wide enough to see past purely human concerns. 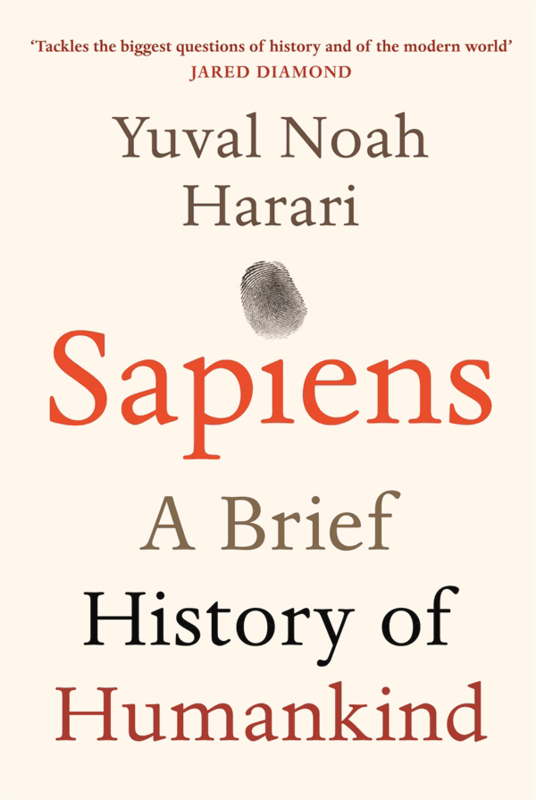 And Harari’s emphasis on the epic scale of animal brutalisation that came first with the Agricultural Revolution, and then orders of magnitude more intensely with the Industrial Revolution, seems to be a clearly objective part of this story which is brought to light through his subjective preferences. However, it seems that he actually became vegan as a result of his research. It’s good to see real commitment to knowledge. No doubt this was in part informed by his 15-year-long devotion to Vipassana meditation. Not necessarily because of the cultural-religious prevalence of vegetarianism in Buddhism (Harari definitely seems to be attracted to meditation as a secular ‘scientific’ practice), but because of the unflinching impassivity the practice instils. It’s damnably hard to remain neutral about modern meat-eating if the evidence is dispassionately assessed. Beyond taking on board the holocaust-scale suffering imposed on animals by modern agriculture, this impassivity extends to other assessments of our historical arc which resist the comforting illusions of progress. He concurs with Jared Diamond (and many other noted scholars) that the Agricultural Revolution was for the most part a bad deal for people. He agrees with Steven Pinker that there is some kind of overall trajectory towards increased connectivity — resulting in our globalised society — but while he is clear about the benefits involved, he is much less sanguine about the downsides. His explanation of the origins and dynamics of modern growth-based economics is exemplary, and the very clarity of his sketch of these dynamics encourages a deeply skeptical take on their supposed boons. In a chapter near the end, he makes much of the fact that his own discipline — history — has been notably quiet about what concerns people the most. He assesses the very recent inroads science has made in studying happiness, looking at biochemical and social factors. Significantly, his Buddhist leanings impinge strongly here. Again, this seems to be a case of Harari’s own life choices enhancing rather than degrading his attempts at objectivity. 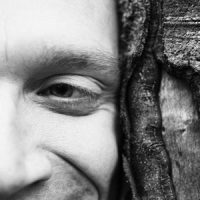 He notes that the Buddha would have agreed with modern biology and New Age movements in asserting that happiness isn’t at root dependent on external factors. But the Buddha went further, and asserted that happiness isn’t about inner feelings either. Chasing good inner feelings perpetuates a painful cycle of dissatisfaction. This, ultimately, is the question that hangs over human existence for Harari. Why are we so chronically dissatisfied? And is there any way out? He sees no point in Luddism — our embrace of accelerating technological usurpations of natural evolution is painted as inevitable. At the same time, his Buddhist-scientific insight leaves him unmesmerised by technology’s utopian promises. For the most part, contemporary work-oriented meditation in the form of ‘Mindfulness’ is the paradoxical (or hypocritical) deployment of measures to decrease craving, in the service of a macro-system which is built on foundations of craving. Harari credits meditation with making him a better historian, but you get the sense that productivity is, as it were, a by-product. The focus is assessing things dispassionately, seeing clearly the workings of constant dissatisfaction, and remaining unseduced by fantasies of future fulfilment. He sees us as evolving into gods, but retains the bold Buddhist judgement that even gods are subject to desire and frustration. Our fears about runaway AI or an elite of upgraded super-humans are convincingly framed as being conditioned by our own attitudes to both animals and ‘other’ cultures treated as sub-humans. To the extent that we’ve justified animal suffering because they have a lower degree of self-awareness (or human suffering because we prefer to think some people have less evolved capacities), we have unwittingly argued for our own subjugation at the hands of superior beings. The warts-and-all history of European colonialism here acts, among other things, as a telling prelude to our culture’s fear of marauding aliens and robots. Harari may get framed in contemporary discourse as a ‘liberal’, but he is unflinching about the disturbing implications of scientific knowledge and technological evolution. And he readily categorises liberalism — along with capitalism, fascism, scientism and other secular ideologies — as a ‘religion’. He is clear that all these are imagined rather than objective realities. Not to dismiss them on those grounds — again, he isn’t seduced by the insight, and recognises that our ability to share imagined realities is our most important and potent attribute. There is one issue where Harari may be accused of allowing ‘liberal’ bias to affect his perspective. That is, the idea that, with a few bumps in the upward trend, our species has tended towards an ever-denser global network of connectivity. This is particularly thrown into relief by the political upheavals of the past year or two (Sapiens was first published in 2011). ‘Globalism’ and ‘liberalism’ are deeply associated, and the apparent retreat of both in the present moment seems to cast the idea of an inexorable trend towards global integration as a lazy assumption of post-Cold War boom times. Some have charted the academic trend towards ‘big history’ — in which Sapiens is surely a crowning achievement — as an artefact of these times, which may be in recession along with them. The main defence of Harari here is that history does indeed describe a general trend of ever-greater global integration. His ‘liberal’ bias may affect his willingness to project this into the future — but he does so cautiously, fully admitting that many potential disasters lie in wait to send things in another direction. But, barring such disasters, the trajectory described is a useful tool for detaching oneself a little from the thick of current political anxieties, and seeing that rising isolationism may just be another bump in the trend. Indeed, some have pointed out that our isolationists are paradoxically compelled to be somewhat internationalist, making common cause with other isolationists in our irrevocably connected world. Similarly, rapid change is unavoidable, and even ‘conservatives’ are compelled to offer change — even if the change is sold to people using a superficial image of a return to the slower times of the past. Not that there aren’t great dangers in increasing global integration — but it may well be that we have to deal with them rather than avoid them. In the account of our early evolution in the first chapter, Harari highlights the importance of the unusually long time humans have as dependent children. This is, of course, central to our status as incredibly adaptable, changeable creatures, governed as much or more by culture as by nature. This — the biological basis of the importance of culture — is the ultimate rejoinder to evolutionary psychologists who prioritise our old evolved instincts as explanations, or self-described ‘realists’ of race or gender who point to the ways that premodern people negotiated these things. Ultimately — and especially in the face of current technologies — change is our lot. There are grave dangers in our world of reactionary politics and transformative technical power, but the fact is that the two are ultimately incompatible. Traditionalism may be at best a handy defence against unbridled change, but it can never, by definition, come to terms with such change. Harari’s book is valuable in balancing compassion and cold hard facts, setting the profound importance of shared imagined realities against the probability that there is no ultimate meaning to concrete reality, and helping us come to terms with our dizzying and apparently unavoidable capacities for change. Sapiens by Gyrus is licensed under a Creative Commons Attribution-NonCommercial-NoDerivatives 4.0 International License.